Green light is an act of welcoming, addressed both to those who have fled hardship and instability in their home countries and to the residents of the cities receiving them. Working together in a playful creative process, participants build a modular light and construct a communal environment in which difference is not only accepted but embraced. I hope Green light shines light on some of the challenges and responsibilities arising from the current refugee crisis in Europe and throughout the world. You can purchase a Green light lamp directly at TBA21, through selected partners, or on the TBA21 web shop. Proceeds from the sales will be donated to partnering non-governmental organizations that assist refugees and migrants. 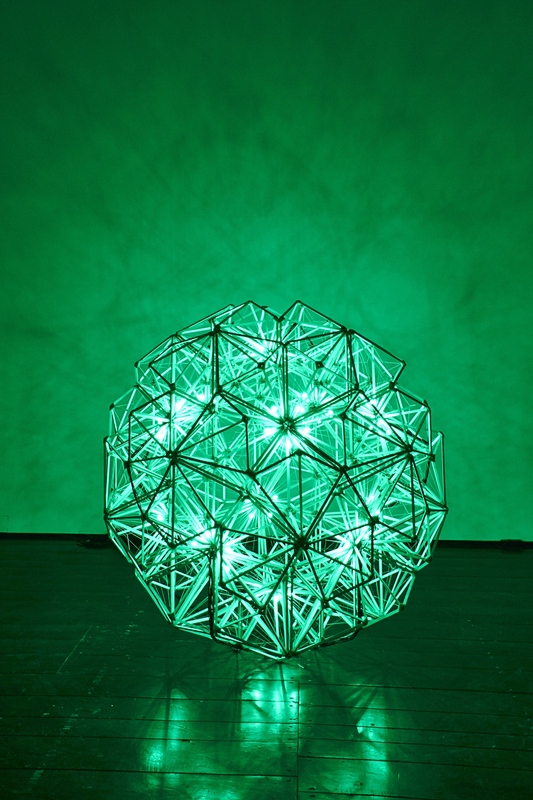 Green light lamps will also be available for purchase from the Moody Center for the Arts in the spring.